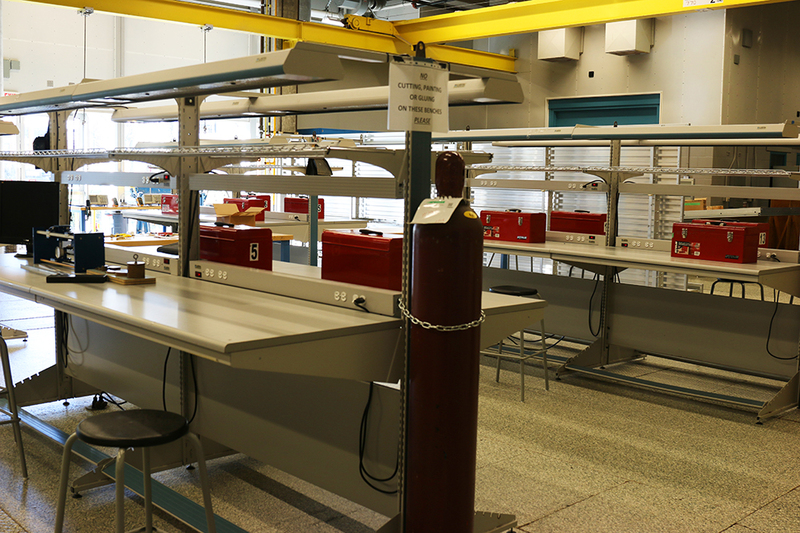 Located across from the student Machine Shop in the Fred Kaiser Building, this facility is a multipurpose “wet” lab space for undergraduate MECH students. 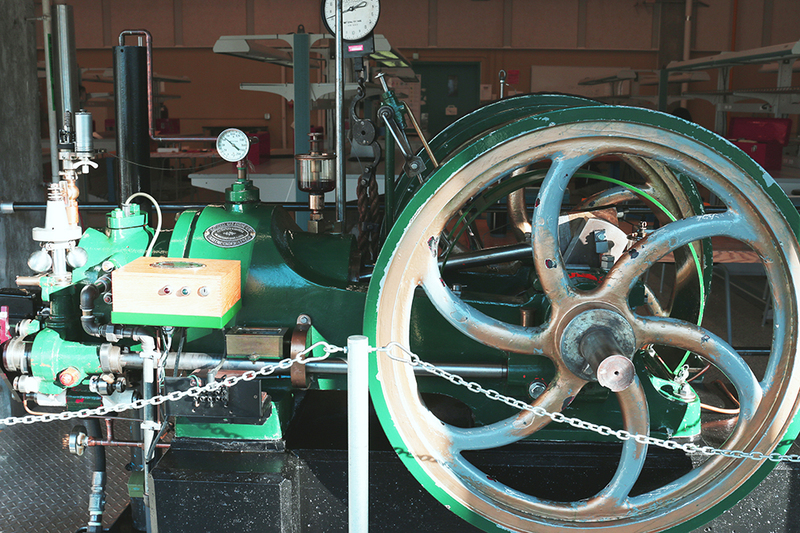 This room contains equipment used for undergraduate engineering labs, including a national gas engine, vehicle chassis dynamometer, and engine dynamometer. 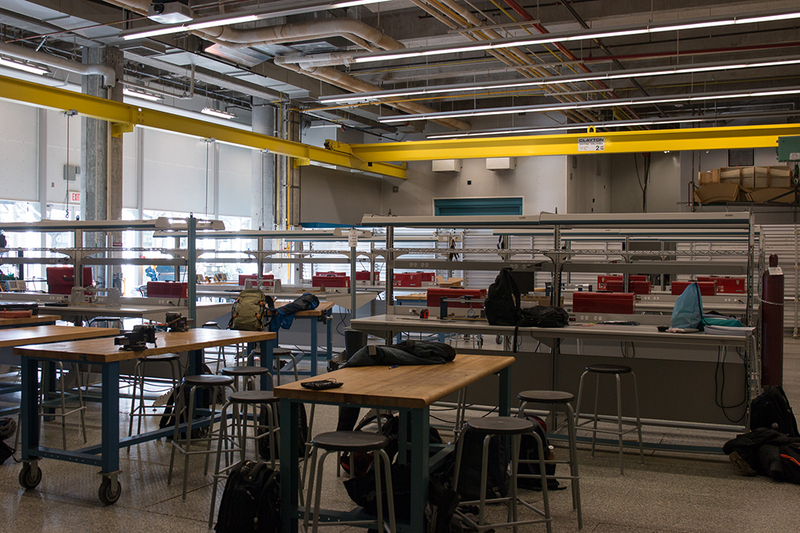 In addition, the open lab benches provide students with ample space to dismantle and rewire projects, or draw up a new solution for their course projects. The large layout of this lab space also makes it a versitile space to accommodate the needs of our undergraduate engineering courses. During the winter term, the lab opened is up to MECH 2 students for designing and prototyping their projects for the second year design course. It is also rearranged into a competition space for the last phase of their design project, where student teams test their prototypes and compete for the best score.